Representative Merika Coleman (D – Birmingham) wants to do something about gun violence in the state of Alabama. On March 21, Coleman introduced HB265, also known as the Gun Violence Protective Order Act. 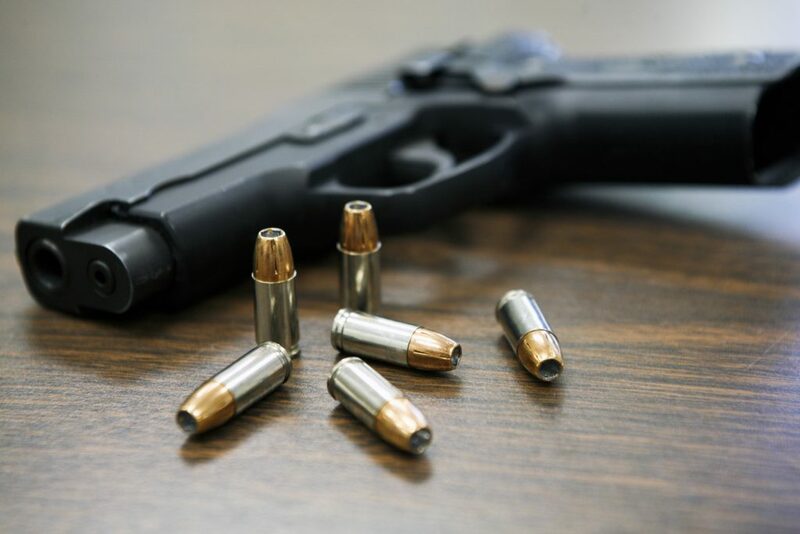 If passed, this law would prohibit individuals who are found by the court to be a legitimate threat to themselves or others from owning, possessing, using, or receiving a firearm for up to one year. Coleman said in a phone interview that this legislation was modeled after other “red flag” bills that have been passed in different states around the country. She believes HB265 would give family members, teachers, and law enforcement officers a critical tool to help prevent a potential gun tragedy in Alabama. However, she was also sure to stress the strict process that must be completed for an order to be issued. According to the current text of the bill, a petitioner – defined as a family member, teacher, or law enforcement officer – may petition the court for a protective order against an individual (aka the respondent) who is believed to be an immediate and present danger of causing personal injury to self or others. If the court finds by a “preponderance of the evidence” that the respondent does, in fact, pose a substantial danger, then a one-year gun violence protective order will be issued. The order would prohibit the respondent from owning, possessing, controlling, or receiving a firearm or ammunition for up to one year. After the year is up, the respondent may return to court for another assessment. If they are no longer considered a legitimate threat, the respondent will have their firearm returned. However, if the respondent continues to show they are in crisis, the petitioner will have recourse to get the order extended. Coleman, a gun owner herself, stressed multiple times that HB265 is about gun safety and not gun control. She said she has no desire to encroach on anyone’s 2nd Amendment rights or stop them from having guns to protect their family. Representative K.L. Brown (R – Jacksonville) said in a phone interview on Thursday that the bill “sounded legit” to him. Brown said that during his time in the funeral home business, he saw several situations where a bill like HB265 could have prevented a loss of life – including a recent tragedy within his district (D40) where a young man named Trenton Gordon killed his 6-month-old child and then himself after an argument with the child’s mother. The Calhoun County Sheriff’s’ Department said that the mother had filed for a protective order against Gordon prior to the incident. Brown said he would seriously consider voting in favor HB265, but didn’t want to commit either way until he saw the final version of the bill. “I hope it’s given a good chance,” he said. Mallory Hagan – a volunteer with Moms Demand Action for Gun Sense and a former candidate for United States Congress – said the bill sounded good in theory “if everyone is honest.” She expressed concerns that a petitioner with malicious or deceitful motives could use the protective order process to damage the reputation of an otherwise law-abiding citizen. “In theory this is a great idea and would allow for deadly and harmful situations to not manifest if the law and procedures are done in a way that makes sense,” she said. Coleman said Hagan’s concerns were legitimate, but that bill included language that should prevent such a situation from happening – citing the bill’s requirement that clear and convincing evidence must be presented for the order to be issued. Additionally, petitioners are required by the bill to testify under oath. Perjury in the first degree is a Class C Felony in Alabama. Though she hopes HB265 will pass this session, Coleman said that her primary goal right now is to ensure that her colleagues in the State House are properly educated about the intent of the bill and the parameters within. Despite any obstacles that may lay ahead, Coleman said that, as an elected representative, she has an obligation to address gun violence in Alabama. HB265 is currently under consideration in the House Judiciary Committee.